31 Nautical Watch is located in the wonderful private beach community of Harbor Island, South Carolina. Nautical Watch is a quiet street, and is conveniently off of Harbor Drive. Harbor Island neighbors Fripp Island and Hunting Island State Park. It is a pleasant drive to historic Beaufort and Ladys Island. There is a variety of shops, local dining options, and the Henry C Chambers Waterfront Park less than half an hour away. 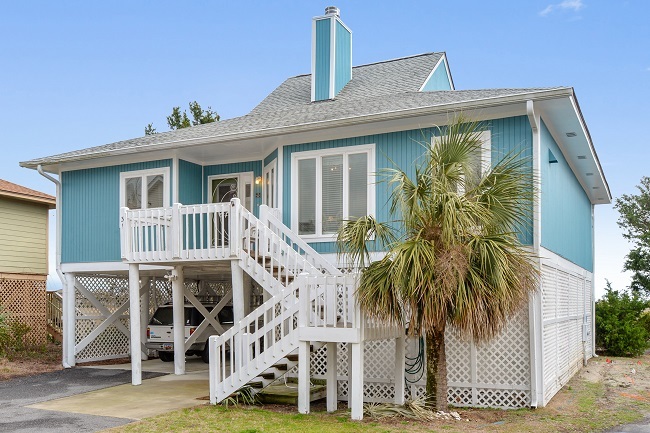 This three bedroom, two full bath beach getaway has everything you need to make your stay at the beach memorable. 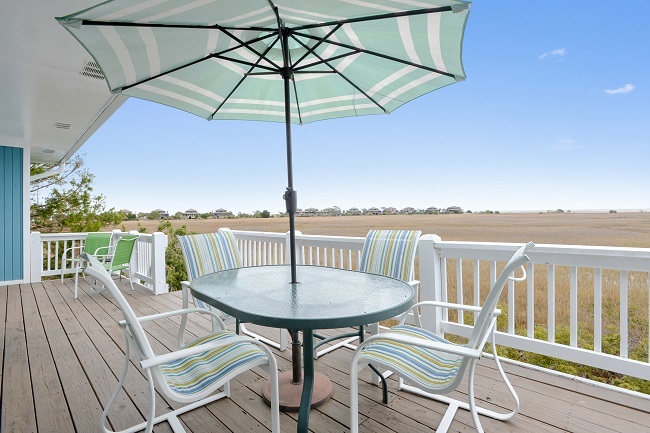 It has an unforgettable view of the tidal marsh and the ocean. It offers a full kitchen with everything you may need to have the perfect meal. There are super comfortable recliners, a sofa, armchair, and a rocking chair that are in the living room, as well as flat screen TV and an incredible view from one of the decks. The master bedroom has private access to a deck, king size bed, flat screen TV, and private bath. The other bedrooms are just as cozy, with one bedroom that has private access to a deck like the master bedroom. The bath and bed linens are provided. This home sleeps many, so the whole family can enjoy their time at the beach, all under one roof. 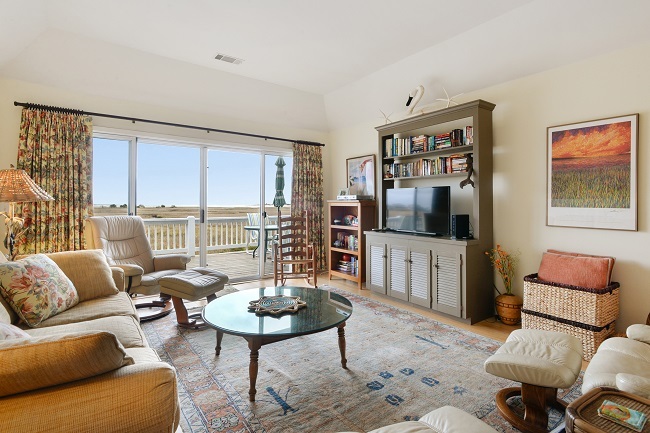 The home also provides a golf cart, perfect for a quick ride to the Beach and Racquet Club. The Nautical Watch homes has its own private pool for you to take a dip. 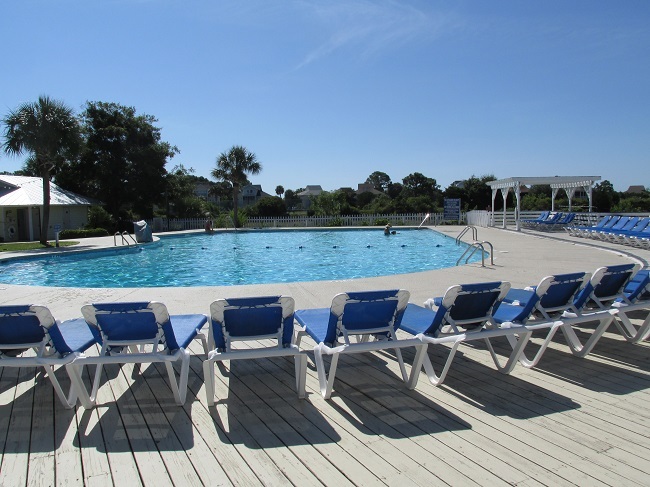 The Beach and Racquet Club offers an Olympic size pool and kiddie pool, a snack shack, tennis, basketball, volleyball, and playground. There are plenty of opportunities for crabbing and accessing the beach. Our Property Management Team specializes in Harbor Island South Carolina, which is located 17 miles East of Downtown Beaufort. We offer full service Property Management Services, which include long term property management, vacation beach rentals, and real estate investment. Visit our local office at 910 Charles Street, Beaufort SC 29902 or call (843) 521-1942.